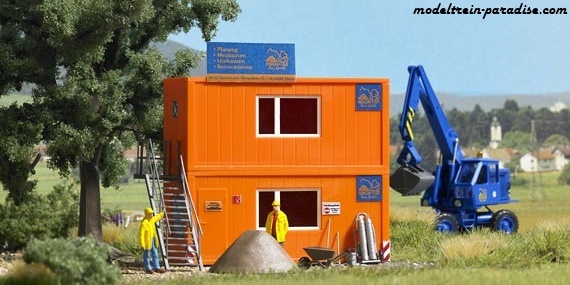 Marklin Busch H0 Kit for a doner kebab in a sales container. Accessories: awning, advertising posters, tables, paper plates, benches, sunshade, a cut-out sheet with advertising, etc. Size of container: 69 x 28 mm, 30 mm high. 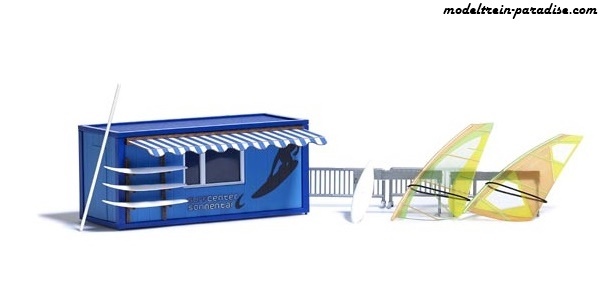 Marklin Busch H0 Kit for a surfboard rental shop in a container. Accessories: a surfboard stand with surfboards, mast, windsurfing boards with painted sails, barriers and a cut-out sheet with diverse motifs. Size of container: approx. 69 x 28 mm, 30 mm high. Marklin Busch H0 6 Abdeckhauben in der typischen Form eines abgedeckten Smart »Fortwo«. 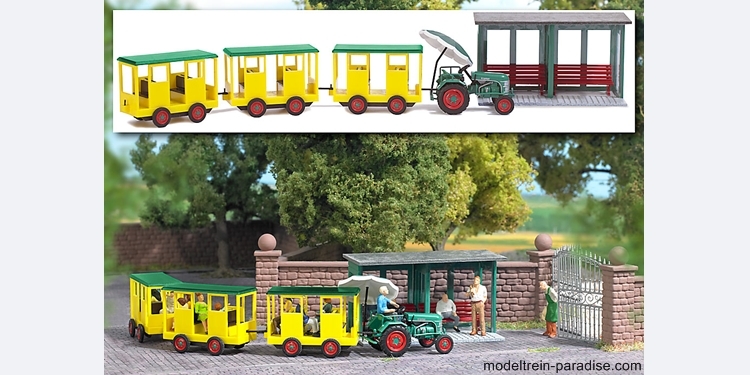 Universell einsetzbar als Ladegut für Eisenbahnwagen und LKWs. Auch zur Ausgestaltung von Autofabriken, Autohäusern, Werkstätten oder Tankstellen geeignet. Inhalt: 6 »Smart« Abdeckhauben. 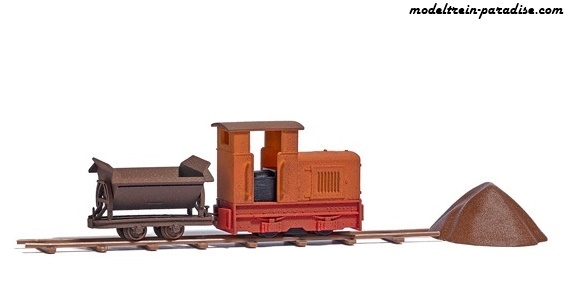 Marklin Busch H0 An authentic scrapyard scene can be constructed with this professionally painted, aged, and rusty looking narrow gauge train set. 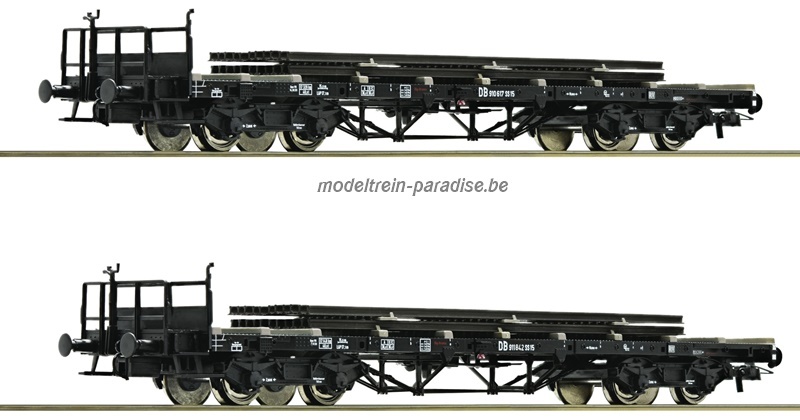 Includes a Gmeinder 15/18 locomotive (unpowered), tipper wagon, plastic track section (length: 100 mm) and sand pile as »buffer stop«. 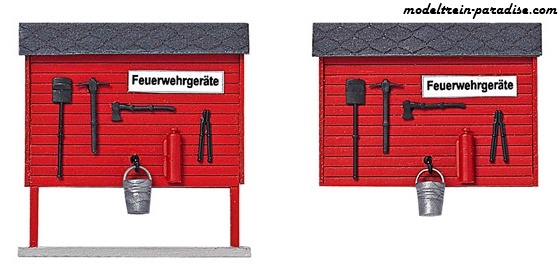 Marklin Busch H0 Kit for two typical fire emergency boards made of genuine pre-colored (red) wooden parts. Includes an axe, water can, shovel, fire extinguisher, etc. Size of board with legs: 29 x 30 mm. Size of board without legs: 29 x 20 mm. 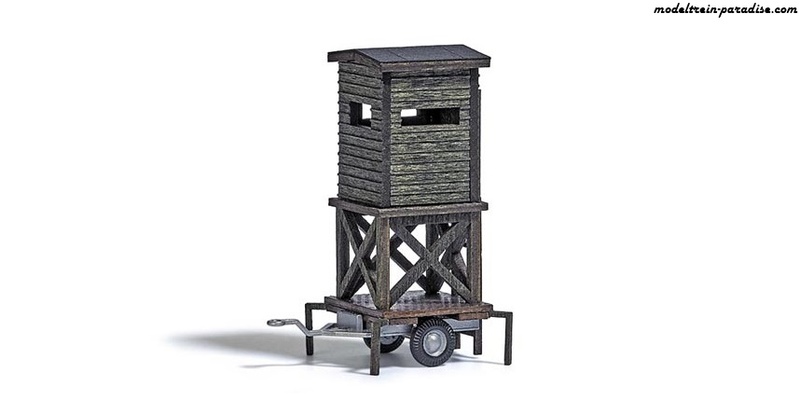 Marklin Busch H0 Building kit for a typical wooden raised hide (or blind) as used by forest Transportable raised hide kit made of genuine wooden parts and mounted on a car trailer. Ideal for all H0 vehicles with trailer hitches. Size: 25 x 25 mm, 49 mm high. 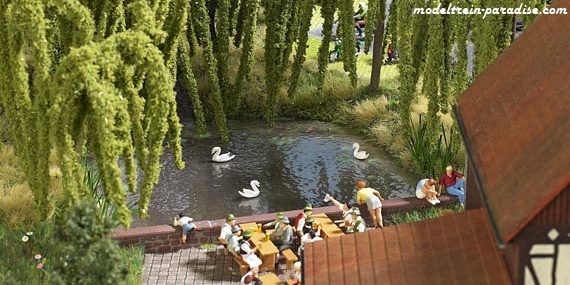 Marklin Busch H0 Kit for a pond with three swimming swans. The propulsion is achieved through a transmission system with motor (14 - 16 V AC connection). Motor, drive gearbox and realistic water foil (190 x 135 mm) are included. 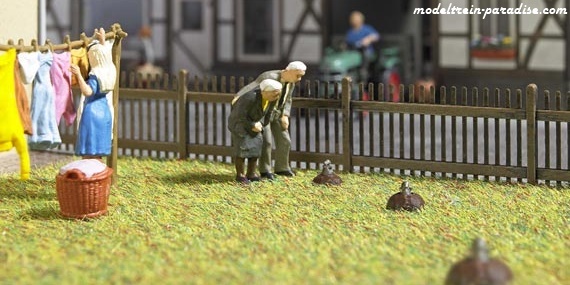 Marklin Busch H0 Kit for three alternating moles »peeping« out of their holes. The propulsion is achieved through a transmission system with motor (14 - 16 V AC connection). The drive gearbox with lawn (90 x 90 mm) can be lowered into the ground (depth: 58 mm) of any model train layout or diorama. Marklin Busch H0 Holzbrücke, Schwanenhaus mit Schwänen, Hundehütte mit Hund, 2 Tannen. 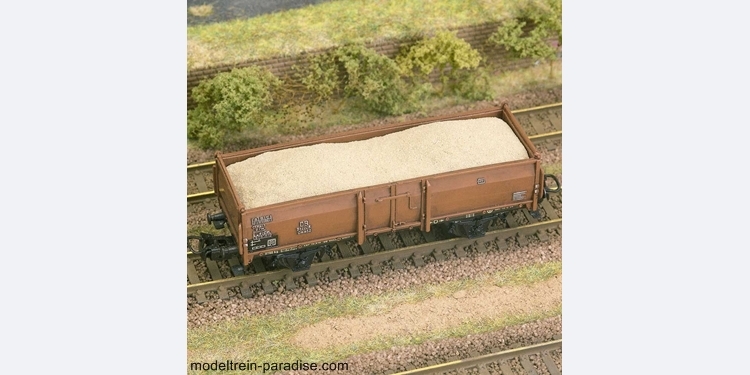 Marklin Busch H0 Mit Abstandshalter, um das Ladegut in der Höhe verändern zu können (Simulation eines halbleeren oder vollen Güterwagens). Durch Sollbruchstellen kürzbar. Länge 96 - 99 mm, Breite 29,5 mm. 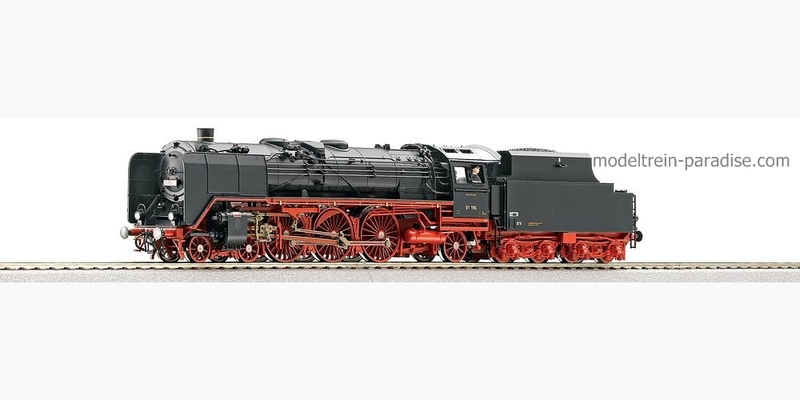 Für Märklin, Fleischmann, Trix, Roco usw.